At Marine Atlantic, we do so much more than get people from point A to point B. Whether it's reunions, long-awaited trips home, or the start of a new adventure, we bring people together. We couldn't bring people together every day without our own dedicated employees. Our employees embody our core values; they are safety oriented team-players who exhibit integrity and commitment, and always strive for excellence. Their understanding and commitment to our values make our employees an invaluable part of our organization. We are currently looking for a Maintenance Planner to work with our Maintenance Department in Port Aux Basques, NL. The Maintenance Department provides maintenance services to all departments within the company, with a primary focus on shore maintenance. All aspects of Marine Atlantic's operation rely on the Maintenance Department for assistance, whether it is planned or breakdown maintenance. The Maintenance Planner position is responsible for the effective planning, prioritizing, and scheduling of resources to conduct maintenance activities with a goal of minimum downtime and maximum productivity. In order to fulfill these responsibilities in the most effective manner, the Planner is empowered to manage work priority, develop job plans, define parts and material requirements, define crafts and skills and engage the proper resources to develop a safe, effective and efficient work plan. Promote and maintain a safe working environment: Assist with tool box meetings, develop Job Safety Analysis, address unsafe work practices and record information in the tracking system. Generate the workforce schedule for the maintenance department and assist in hiring new staff as required. Ensure all planned work requests are valid, clear and accurate in information. Determine the most effective way to accomplish the work and engage appropriate resources as necessary. Act as principle contact and liaison between the maintenance department and terminal operations for maintenance planning. Obtain and organize all information required for the trades to perform the work: drawings, vendor manual, supplemental instructional materials, special procedures, and other file material which is appropriate. Supplement this information by preparing any additional sketches, drawings, diagrams, notes, or any instructional material which will clarify the work to be performed. Identify and secure all parts, tools and materials required to complete the work. Work closely with Supply Chain to ensure that pre-requisite and spare parts are available to complete the maintenance work. Provide total cost estimate for the work to be performed, and job estimates based on trade or skills required, sequence required and number required. Report metrics on the performance of planning and scheduling functions and provide timely reports to management. Assist in the investigation of incidents, conduct root cause analysis, prepare reports related to employee injuries, property damage, vehicle incidents, and assist with recommendations on corrective action. Follow-up to ensure corrective actions are implemented and record details in tracking system. A combination of equivalent education, job-related training and experience in a related position. Why work for the Marine Atlantic team? As part of the Marine Atlantic team, you will participate in a variety of ongoing training programs and development opportunities to navigate your career and chart your course for success. We provide a positive and inclusive work culture that is dedicated to creating an environment which promotes employee growth, career development, and job satisfaction. Some benefits of working with Marine Atlantic include competitive salaries, defined benefit pension plan, comprehensive health benefit packages, and professional development opportunities. Come experience the pride of working with an organization with newly constructed and revitalized infrastructure that has positioned itself for the future. If you meet the listed qualifications, are interested in this opportunity and exemplify our core values, please apply online before 4 pm Atlantic Time on 29 April 2019. For your application to be considered, all sections and questions must be completed. At Marine Atlantic, we are dedicated to building and fostering an inclusive and diverse environment, where all employees and customers feel welcomed, valued, and respected. Marine Atlantic invites applications from all qualified candidates and hires on the basis of merit. We are committed to the principles of equitable employment for all and strongly encourage applications from Women, Indigenous People, Persons with Disabilities, Visible Minorities and persons of any sexual orientation or gender identity and expression. If you are a member of one of these groups, we invite you to self-identify on your application, cover letter or resume. To receive this job poster in an alternative format or to discuss alternate ways of completing the online application, please contact the Marine Atlantic Human Resources Department (recruiting@marine-atlantic.ca). 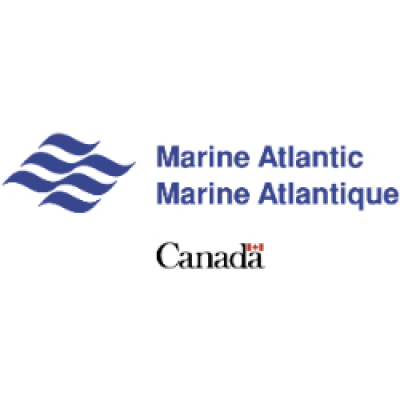 More Jobs at Marine Atlantic Inc.